Home » Football » Should clubs spend big on a marquee signing? Should clubs spend big on a marquee signing? When a club enters a transfer window with money burning a hole in their pocket, there are two opposing schools of thought on how to spend it. 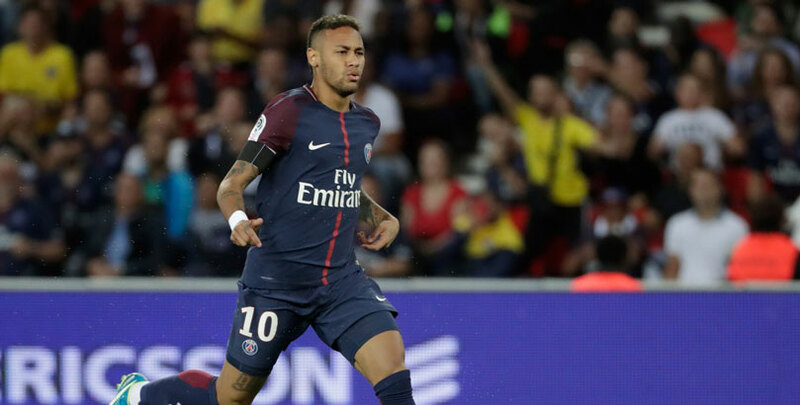 One is to splash out on a big-money signing – Neymar’s recent move to PSG being an extreme example – and the other is to spread your budget across a number of more modestly-priced recruits. We’ve analysed the last 10 seasons’ worth of transfers in Europe’s “big five” leagues to see which approach yields the best results. First of all, let’s look at the clubs who made their division’s most expensive signing in each of the last 10 seasons. There’s no doubting a headline-making capture tends to end well, with almost two thirds of these big spenders finishing in the top two and almost 90% making the top four. When we widen our analysis to look at each league’s 10 biggest transfers in a season, we found that clubs who made more than one of these purchases stand a far better chance of improving on their previous points tally. Those who failed to make a single top signing only fared better around a third of the time, with this proportion steadily rising with the number of top 10 fees paid. For clubs defending a Champions League place, sitting out a transfer window isn’t a safe option. Fewer than half of clubs who finished in a Champion League spot and failed to make one of their division’s top 10 signings managed to retain their position, making it a risky strategy not to keep refreshing the spine of your team. Over the last decade there have been 18 players signed for over half of their club’s total transfer outlay – excluding those whose new employers made fewer than two additional signings – and all but four made a positive impact in their first season. Most recently, Sadio Mané – who accounted for just over half of Liverpool’s spend last season – helped the Reds to win 16 more points than they managed in the previous campaign while Dimitri Payet’s return to Marseille for just under 60% of the total they paid in fees saw the French club finish 14 points better off. Liverpool certainly seem to have learned from the last time they had a lot of money to spend, when an attempt to spread it around ended badly. In 2014/15, with the proceeds of Luis Suarez’s sale to reinvest, they finished 22 points worse off than the previous year despite bringing in eight new players for a combined £127m. With the costliest of those additions – Adam Lallana – only accounting for around a fifth of their total outlay, recruiting a superstar to replace the departing Suarez may have been a better use of the funds than a cohort of good-but-not-great additions. While there’s a limit to how many points a player – no matter how talented – can win on their own, the positive impact of a big signing can extend to galvanising the rest of the team and inspiring the fanbase. There’s precedent for PSG’s capture of Neymar: the purchase of Ángel Di María for the lion’s share of their budget two seasons ago saw them add 13 extra points to their tally, so they know just how important a statement of intent can be.